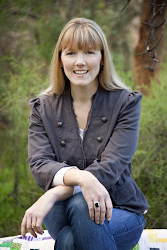 I have said that there is so much going on behind the scenes at the moment and now I can share with you one of those projects. Here is my Hop, Skip, Jump! Quilt. It has been quite a work in progress but it feels so wonderful to now share it all with you. 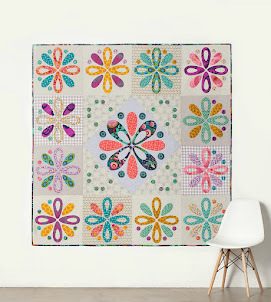 I wanted to make a kids quilt that used a feature fabric or panel to create a fun and bright quilt that could be made by all level of sewers. 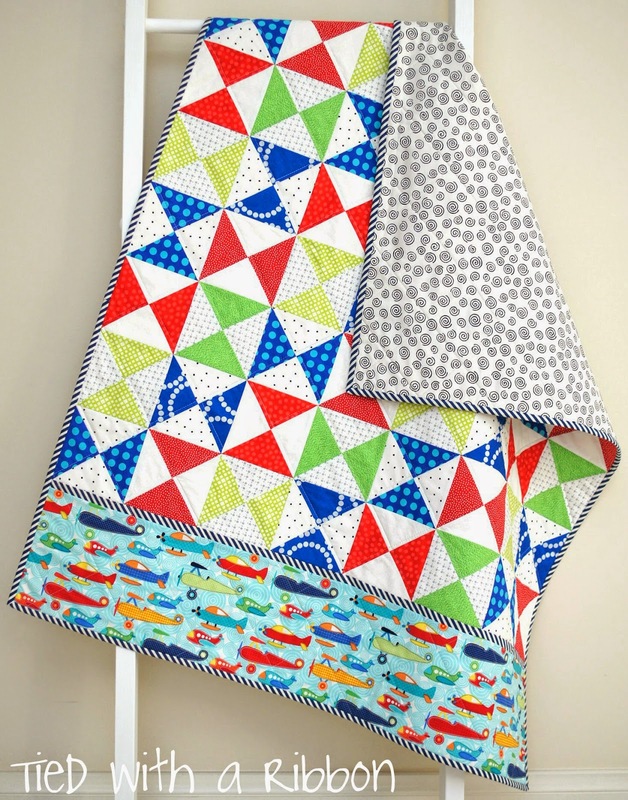 I worked towards making a design that would prove versatile over a range of colours and prints and would make a sweet snuggle quilt or cot size quilt for a child to cherish and love. 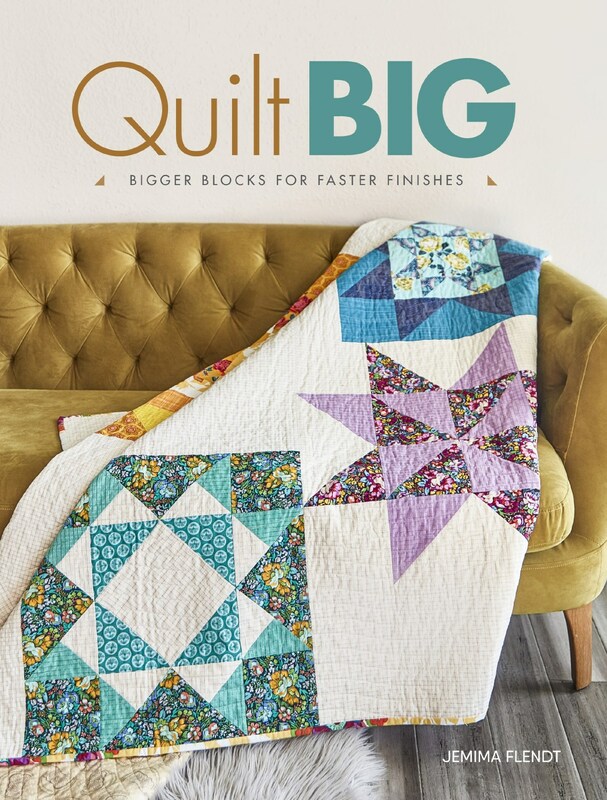 Hop, Skip, Jump PDF Quilt Pattern. 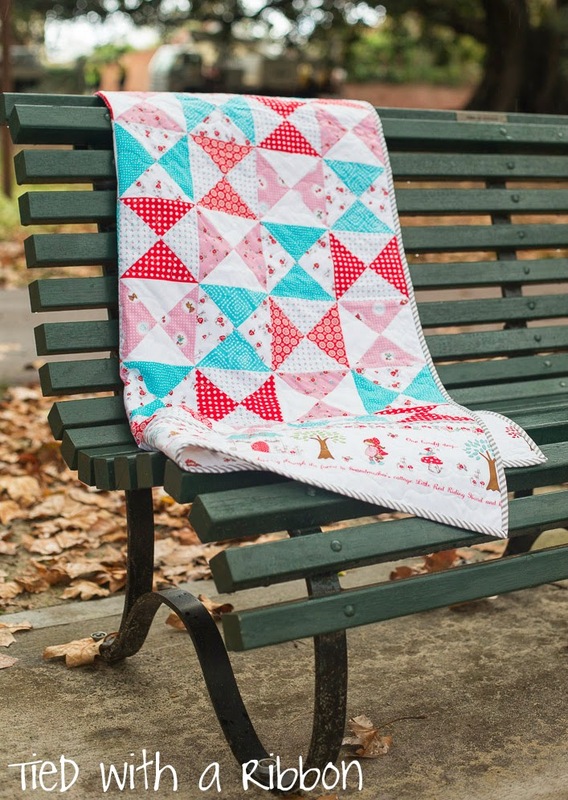 A big thanks to Peggy Sass Photography for her wonderful pictures of my Little Red Riding Hood version of this quilt. This fabric came from Hawthorne Threads and is Little Red Riding Hood by Tasha Noel for Riley Blake fabrics. 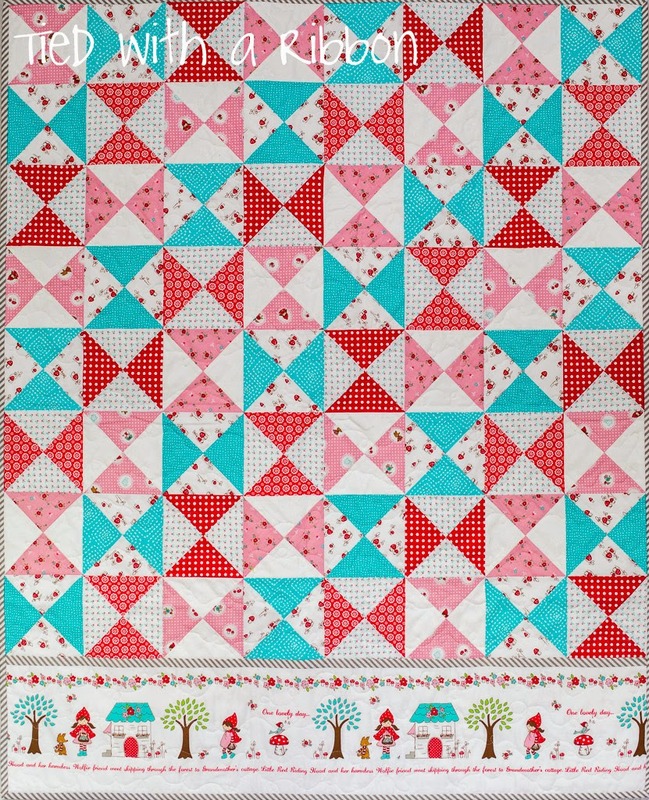 And just to show how other prints can be used to make this fun quilt here is one I made using this great Plane novelty fabric. My quilts were all pieced with my go to thread - Aurifil #2024 - 50wt. 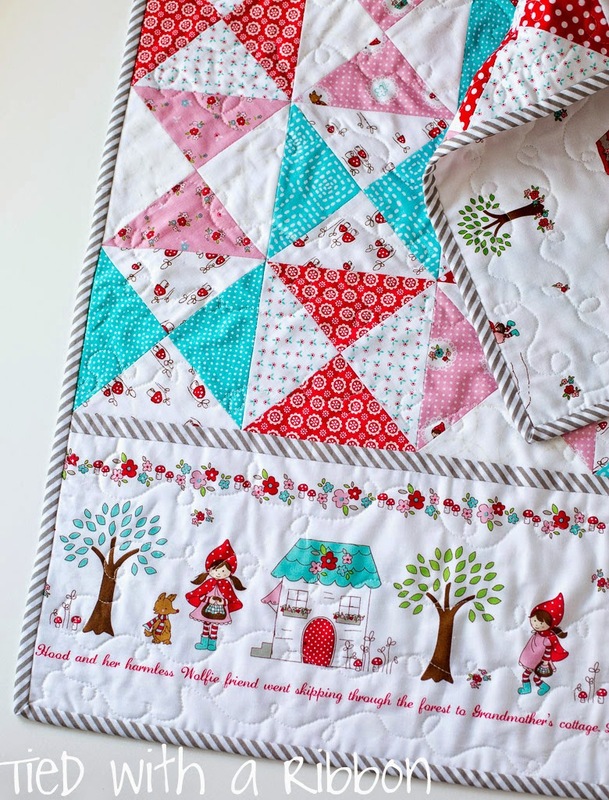 I then machine quilted the Little Red Riding Hood quilt using a free motion Loopy pattern in the same Aurifil thread. For the Planes quilt I used the variegated Aurifil #4060 - 50wt. This grey to white variegated thread goes so well over different colours. If you haven't used Aurifil - it is a game changer. Best thread I have used by far. 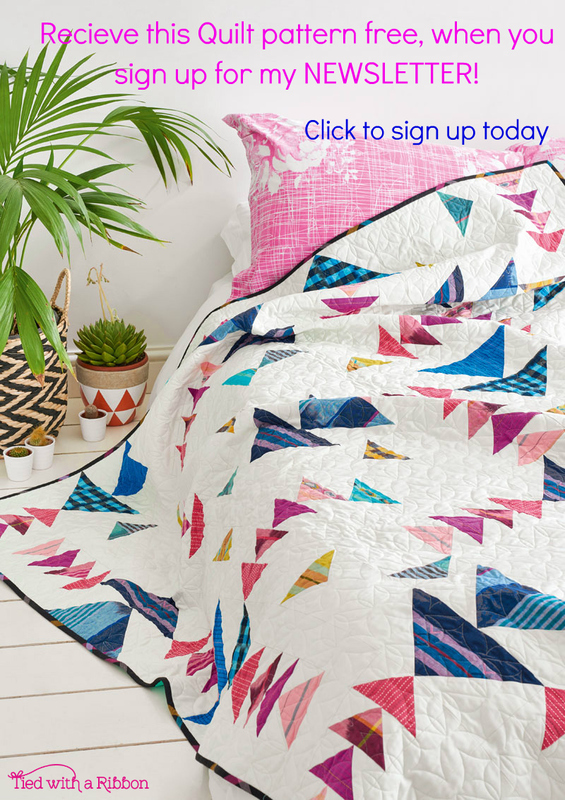 I would love to see any quilts you make using my Hop, Skip Jump! pattern. Happy sewing.